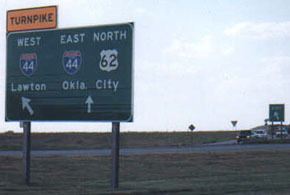 The reason US 277 is numbered as such is because it originally connected with its parent route (US 77); see the Oklahoma City page for more info. 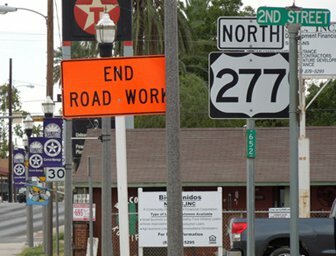 The information given on the now-obsolete yellow sign attests to the fact that US 277 historically continued straight through there. 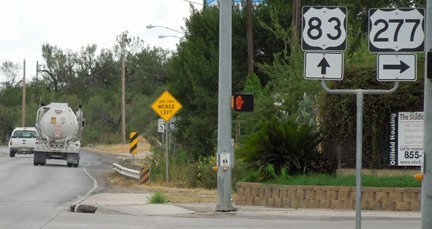 At left is the port of entry to Mexico, and the historic south end of US 277. 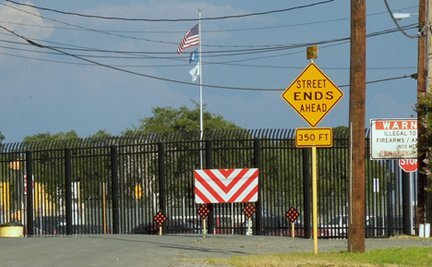 At right, Frontera is visible behind the gate (as well as the backside of the "Warning" and "Stop" signs shown in the first photo). 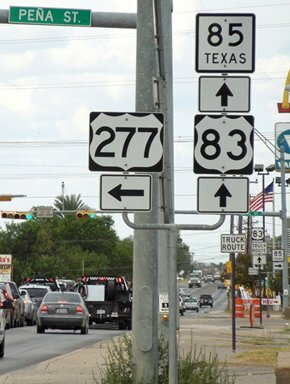 Northbound US 277 traffic used that road, then turned right on Las Vacas to get to Del Rio. 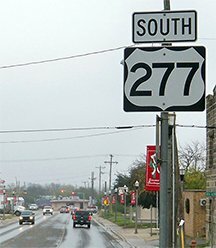 Since US 277 no longer connects with US 77 anyway, this 30-mile overlap with US 62 is pointless. 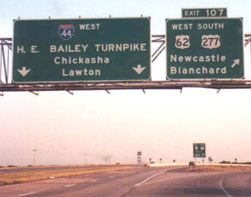 The seven-mile overlap with US 81 (from Ninnekah up to Chickasha) is appropriate, because it allows the north-south US 277 to junction with an east-west route (US 62). 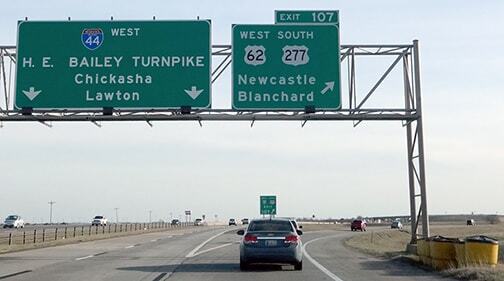 But there is no reason for US 277 to exist between there and Newcastle. last updated Aug. 4, 2018.